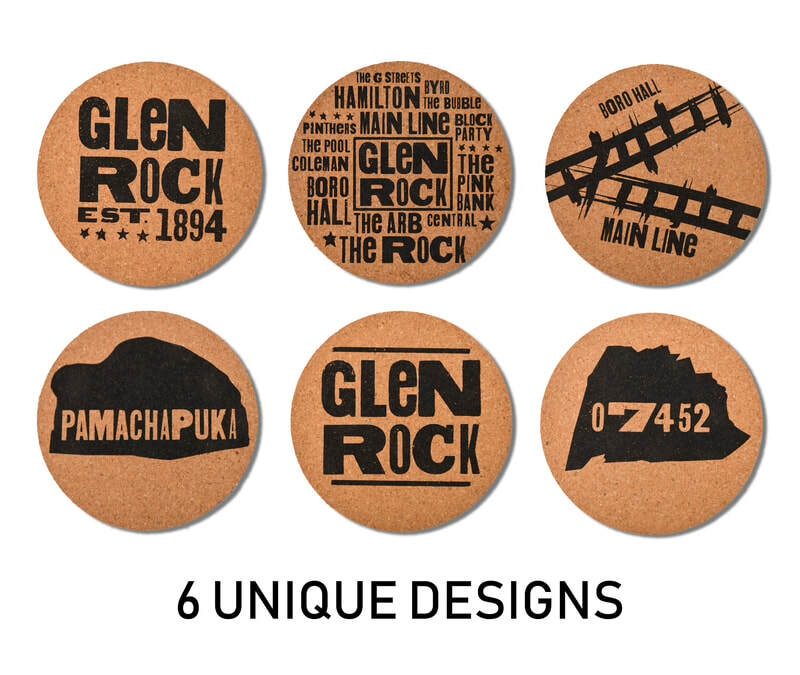 Set of 12 Glen Rock Coasters. 6 designs (2 of each). 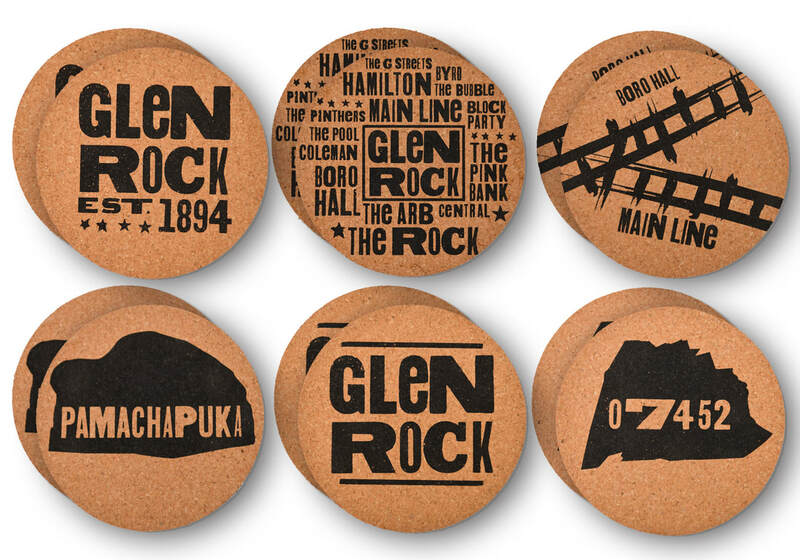 ​Each coaster is 1/4" thick and 4" round. 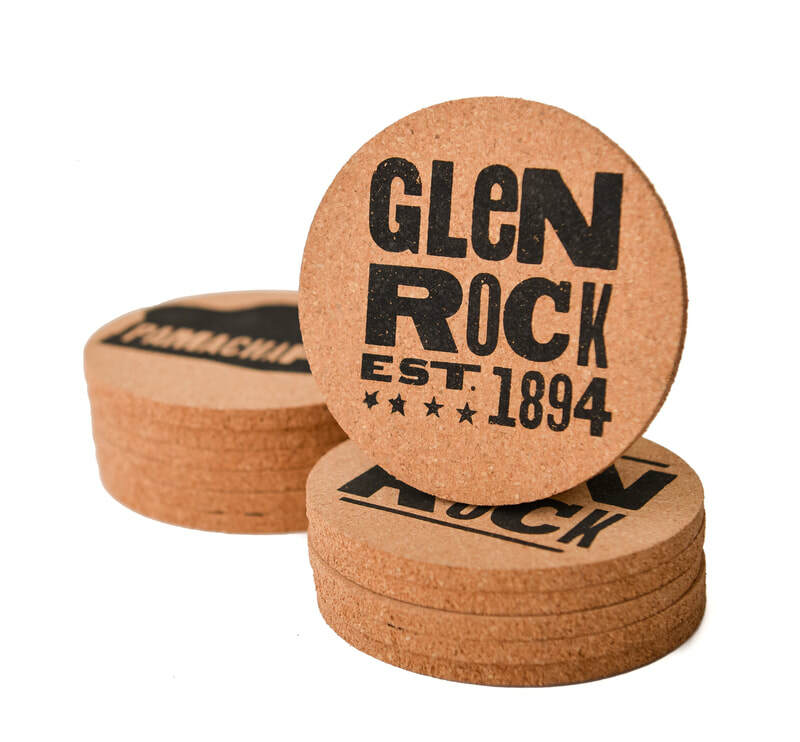 PROTECT YOUR TABLES: Cork coasters are naturally absorbent and soft. 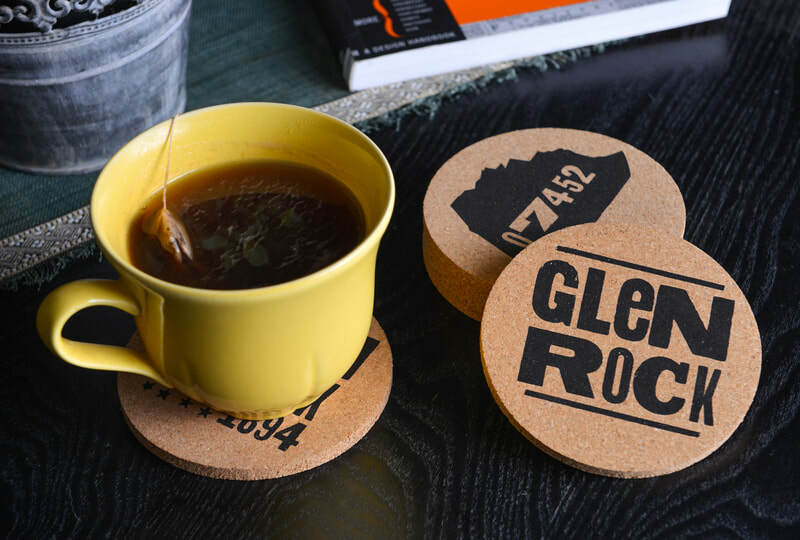 They'll save your table from water rings and stains. 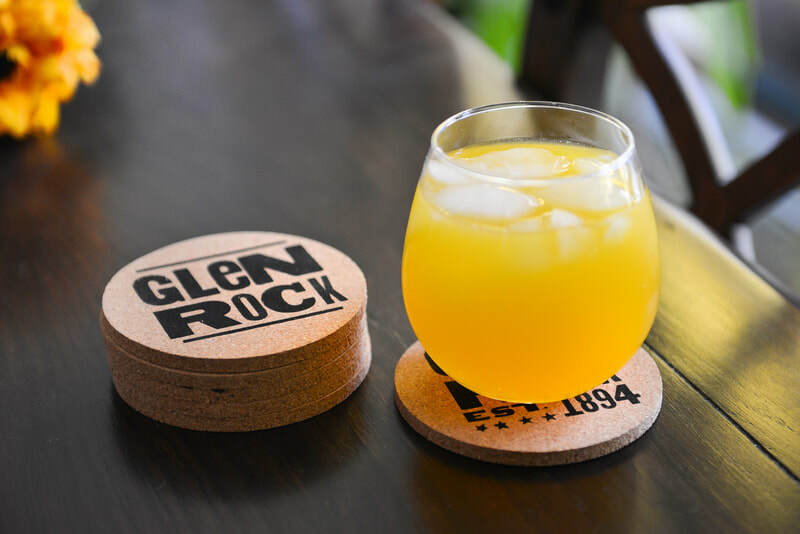 UNIQUE DESIGNS: The designs were created just for those who know and love Glen Rock, NJ. GIFTABLE: The gift box is so adorable you may not even want to use wrapping paper when giving a set as a gift. 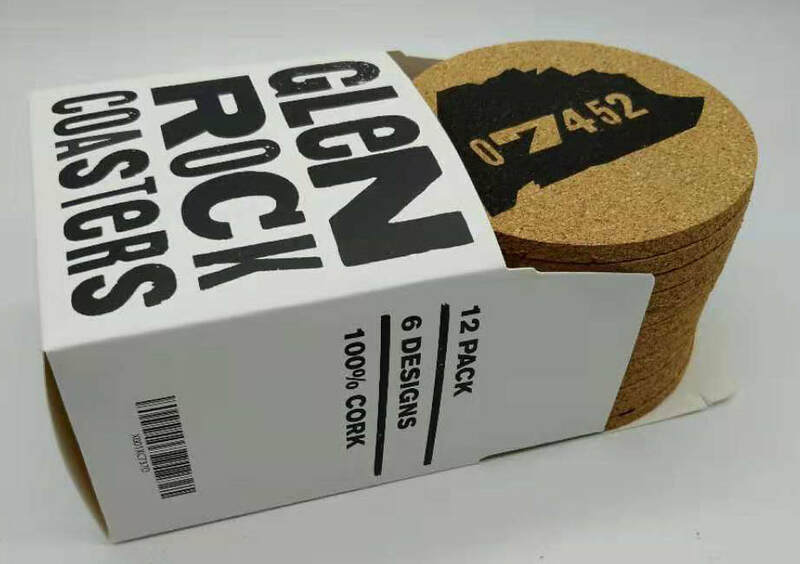 SAVE THE EARTH: Cork is a renewable and sustainable product. In addition, the package is plastic free. 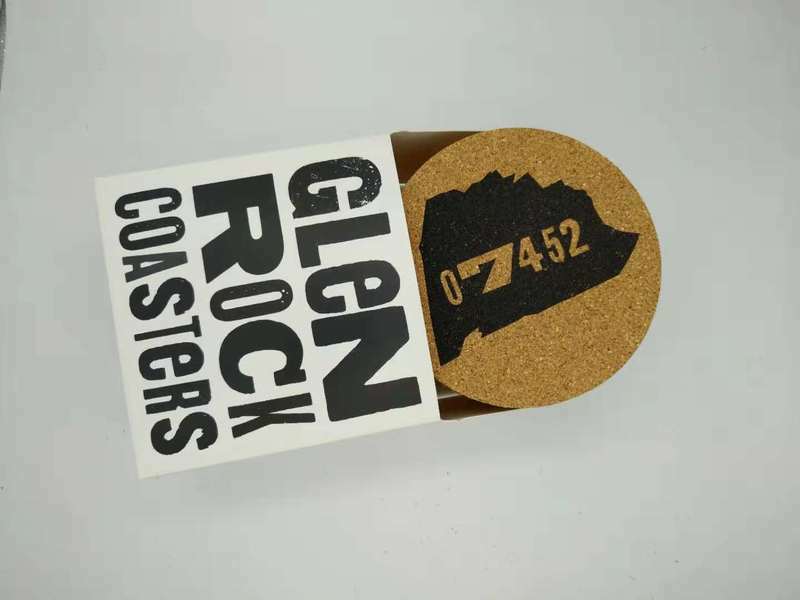 LOCAL: The coasters were produced by a woman who lives in (and adores) Glen Rock, New Jersey.